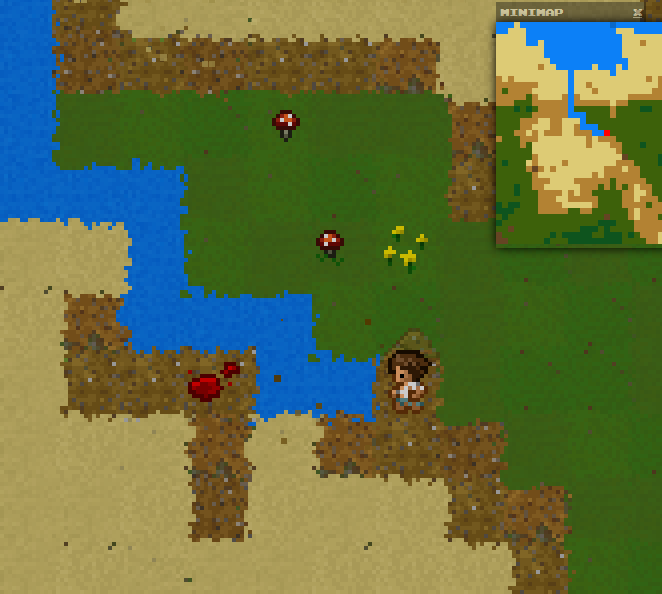 Showcasing some dynamic water routing via digging in Wayward, upcoming in Alpha 1.2. A perfect fit for those who want to make their own islands for monster protection. In this video I showcase and talk about some of the changes in this alpha release. As per usual, progress and work on the next version is already underway during the upload of this video. Nothing too epic today. 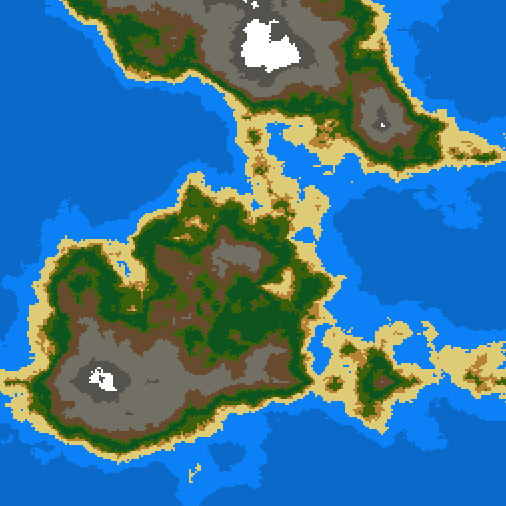 Just getting getting in over my head with terrain generation algorithms. This new generation system probably won’t be ready for the 1.2 release, but definitely will be going in after. 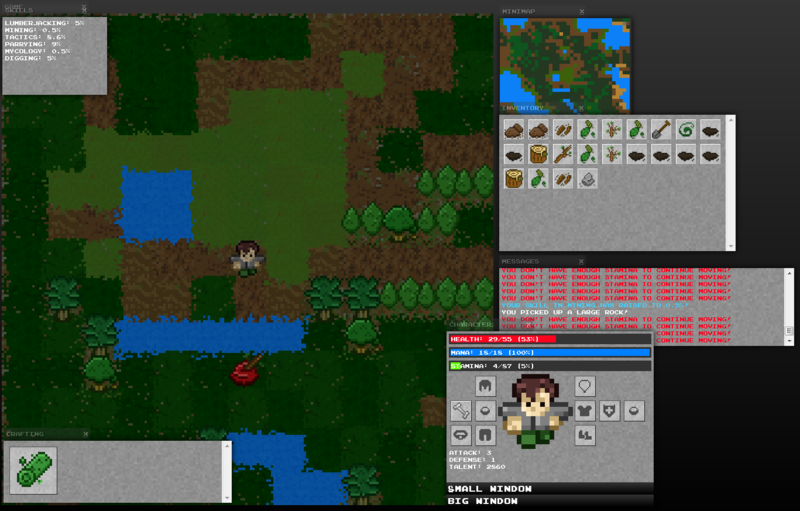 I still have lots of work to do on it including biomes and caves/dungeons. 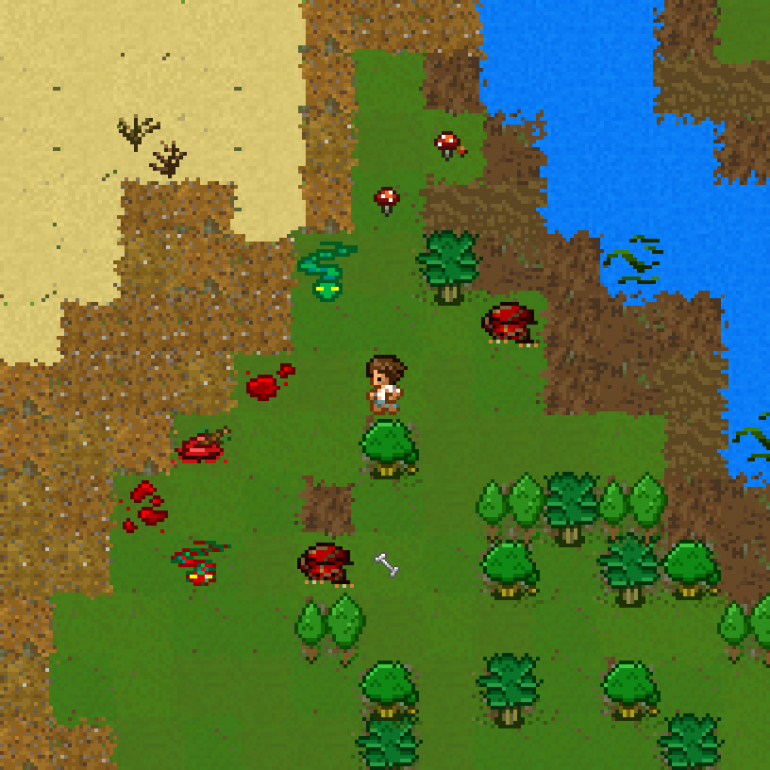 With the help of “Hi” (from #rgrd and the Rogue Temple forums) I was able to resolve the color space issue for Macs. 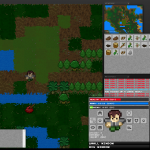 Everybody on a Mac should be able to play Wayward just fine and dandy now! Fullscreen goodness! 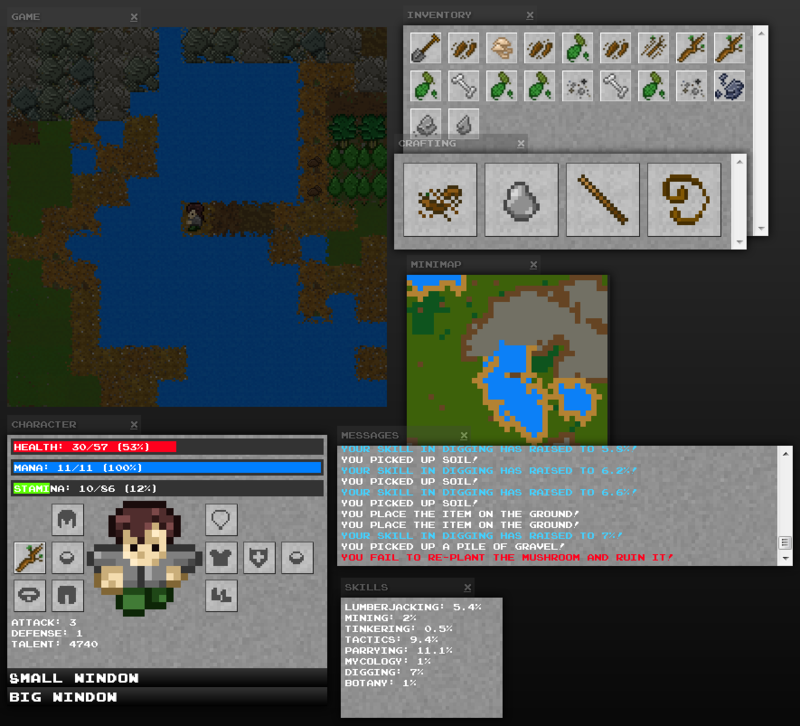 Sneak “peek” at Wayward, Alpha 1.2 interface and window size. Update: Unfortunately due to technical limitations and some browser-related issues, this will not be appearing in 1.2 any longer. It’s that time again! 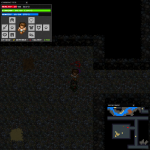 A new Alpha version has been released for Wayward! As always, would love to hear what everybody thinks. 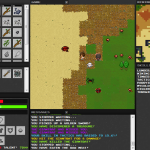 Tons of bug and performance fixes. 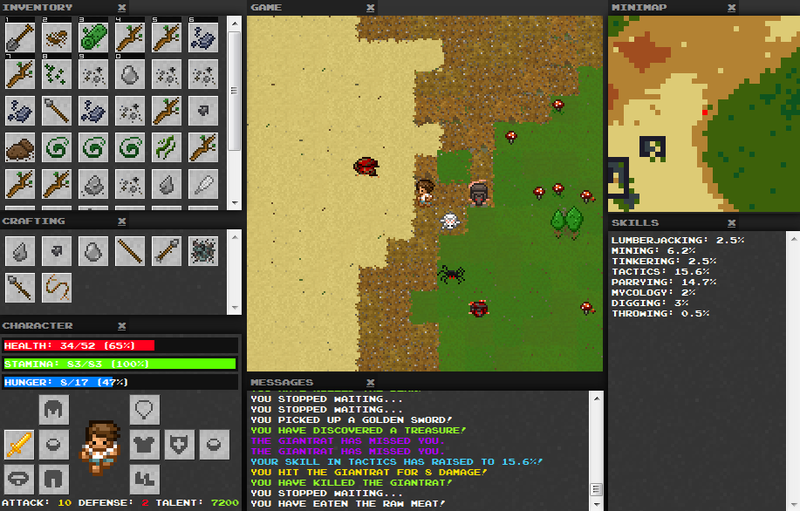 More equipment, more items, more enemies, more sounds, more crafting, more environments. 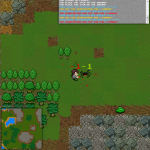 Monsters now have corpses that can be carved for resources. You can now rest with the bedroll. Better support for lower resolutions. Dialog/window positions now save on your browser. You can now skip/wait a turn with the space bar. 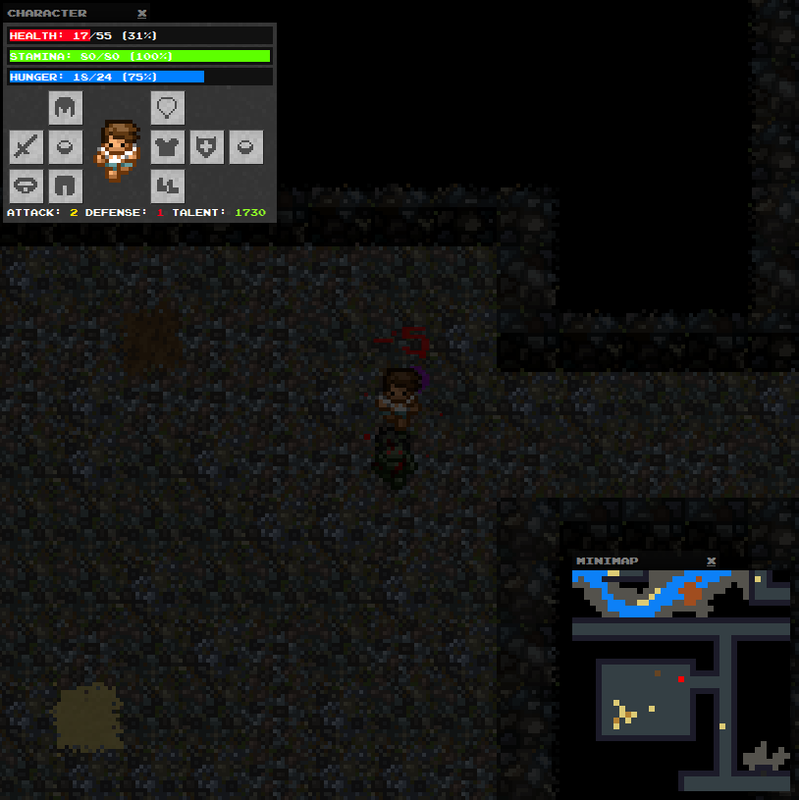 There is now a static and unique map to explore, filled with dungeons and treasures. 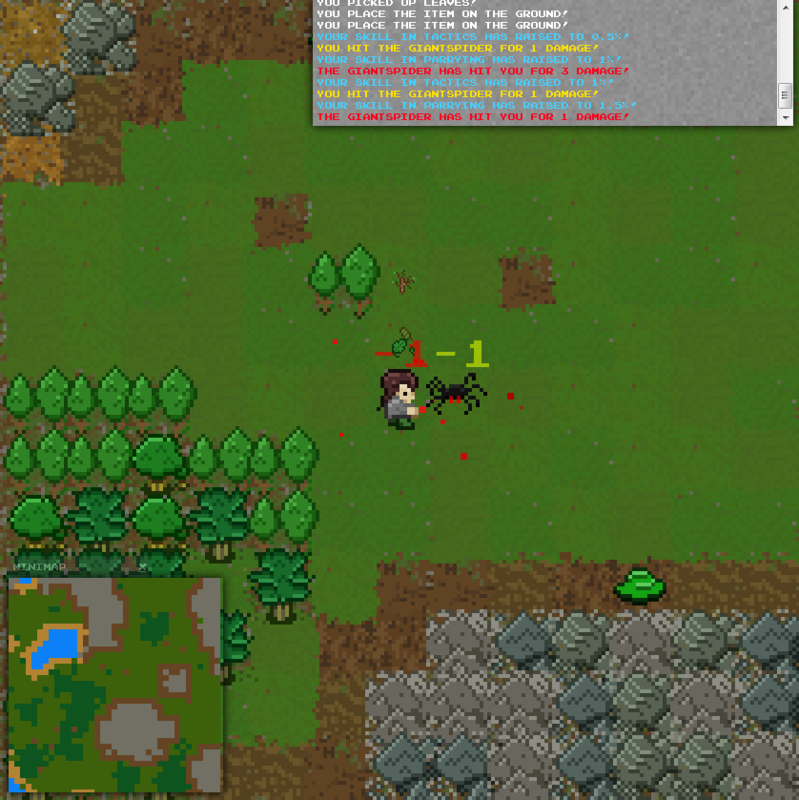 There is a “win” scenario built into the game. Can you discover it? Intelligence has been taken out – Hunger is in! Browser warnings for older browsers. Tool-tips enabled for items and crafting recipes for more information. 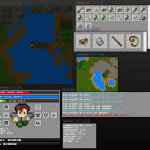 Read more about Wayward on RogueBasin. So many bodies… Who’s next?